Scientists compared three different types of exercise and found the one that beats out the rest when it comes to aerobic capacity. Studies break down HIIT effectiveness. Have you ever wondered how your favorite types of exercise stack up against one another? In a new study—to be published in Medicine and Science in Sports and Exercise—scientists sought to find out what exercise is best for amping VO2 max. VO2 max is the maximum amount of oxygen your body can use in a set amount of time and it’s dependent upon how many red blood cells you have, how adapted you are to endurance activities, and how much blood your heart can pump. 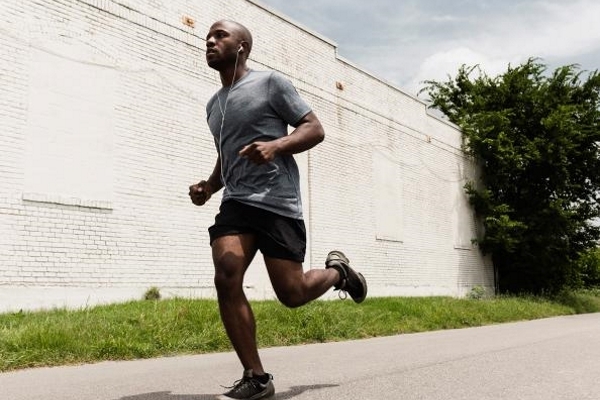 Essentially, your VO2 max is a measure of how fit you are, so, yes, you want to improve your score to become more economical in your sport (whether you’re a runner, cyclist, CrossFitter, or something else)—so you can do whatever it is you do faster and with less effort. We already know interval training is among the best ways to transform your physique and blast fat and steady state cardio is necessary for creating a training base and making our bodies more efficient at using stored fat, but what’s the best way to increase VO2 max? 3. 45 minutes of moderate-intensity continuous training on a treadmill at 70 percent of their maximal heart rate. Their time to exhaustion, vein and artery function, blood volume, and calculated stroke volume levels (the amount of blood pumped out of the heart) were measured before and after the training period. As you may have guessed, the 4×4 minute HIIT increased VO2 max the most—and significantly more so than the 10×1 HIIT exercise group. The former boosted VO2 max by 10 percent and the latter by 3.3 percent. The moderate continuous slog group came in dead last, though still increased V02 max by 3.1 percent.